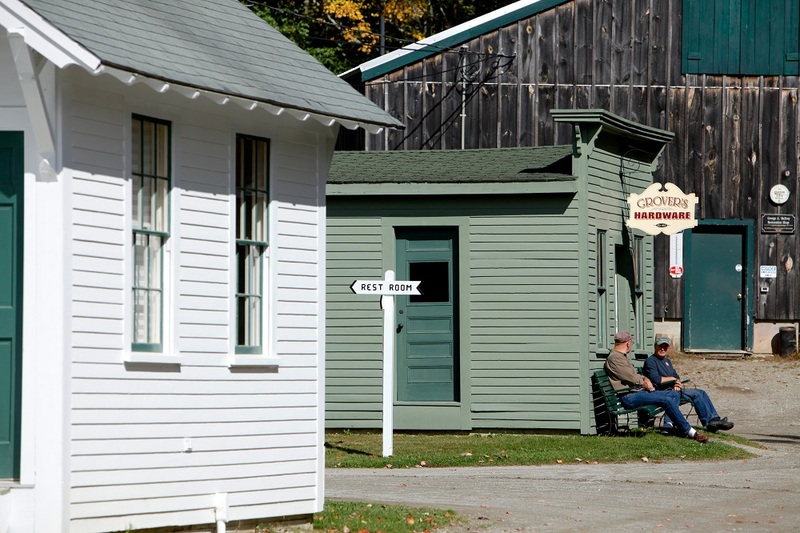 The heart of the Boothbay Railway Village is the village. 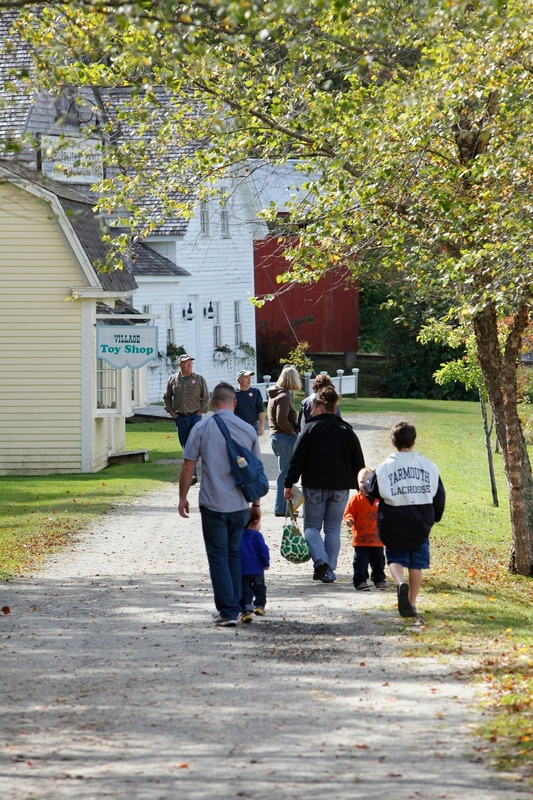 Comprised of many historically significant structures that house artifacts and displays of rural Maine from the mid-19th through the mid-20th centuries, the village can transport the visitor to a time well before computers, cell phones and even television. 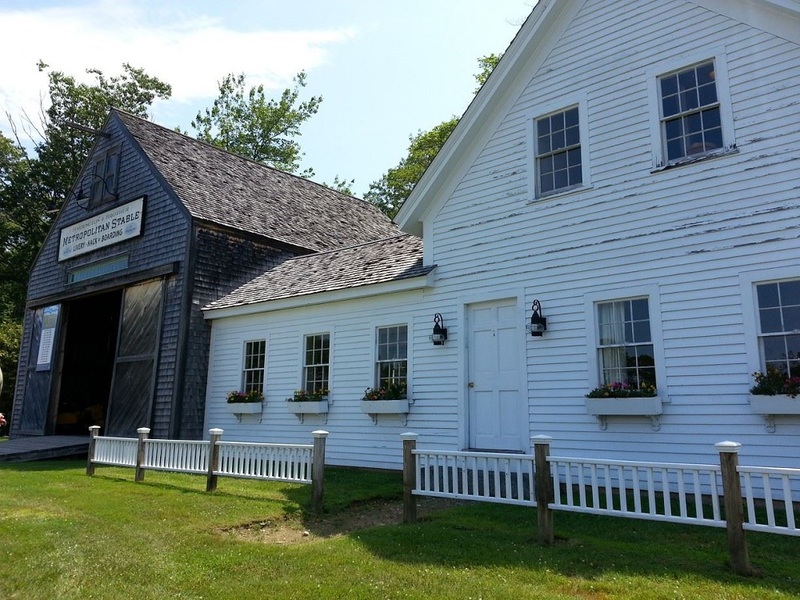 Whether it is a lecture series in the 1847 Town Hall or one of many festivals and special events that take place on the green, the village is the center of the museum and its activities. From a 1927 GE Refrigerator to an immense collection of vintage salt & pepper shakers the Museum’s collection of every day objects offers visitors the opportunity to reminisce and reconnect with times long past. A description of the exhibits and an image gallery is included below but are not a substitute for visiting in person. The Village Green – Historically, village greens or commons were an important aspect of village life. 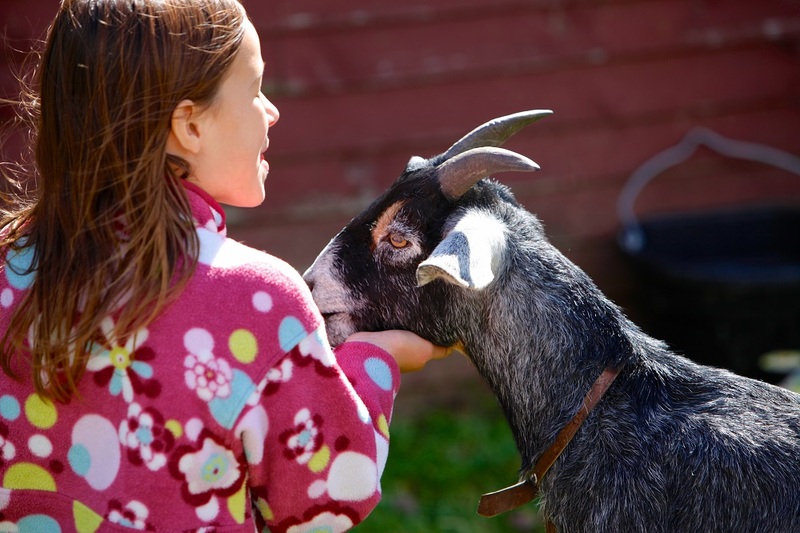 Greens could provide grazing for animals or gardening areas for villagers. They were gathering locations for celebrations and debates. Our village is arranged around our Village Green. 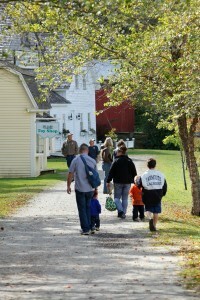 Today, it is the site of special events such as Antique Auto Days and the annual Fall Foliage Festival. Spruce Point Chapel – Circa 1923. The Chapel was relocated from the Spruce Point area of Boothbay Harbor in 1995. This restored chapel was largely funded by a well-to-do summer residents to provide a place of worship for their staff and a Sunday school for the local children. Today it is available for special occasions including weddings. 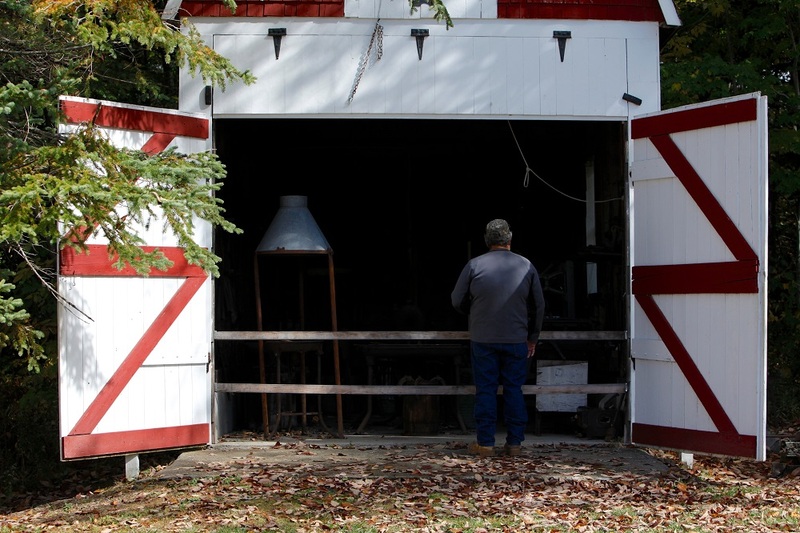 Grover’s Hardware – Named after a local family hardware store, it contains many of the tools and household goods sold in hardware stores at the turn of the century. Many of the artifacts were donated by Grover’s Hardware store in Boothbay Harbor. 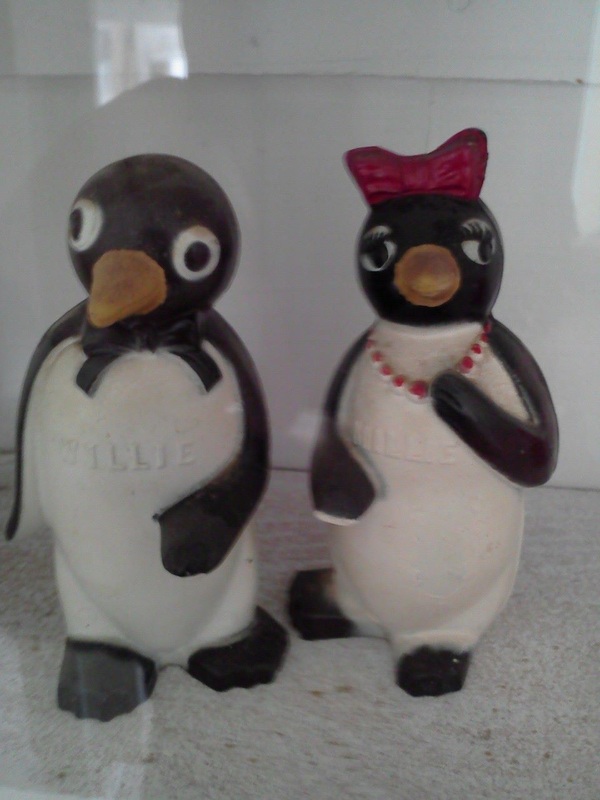 Stover’s Salt & Pepper House -Unique collection of shakers has over 600 sets that include a variety of designs. Exhibit also includes an example of a late nineteenth century kitchen. 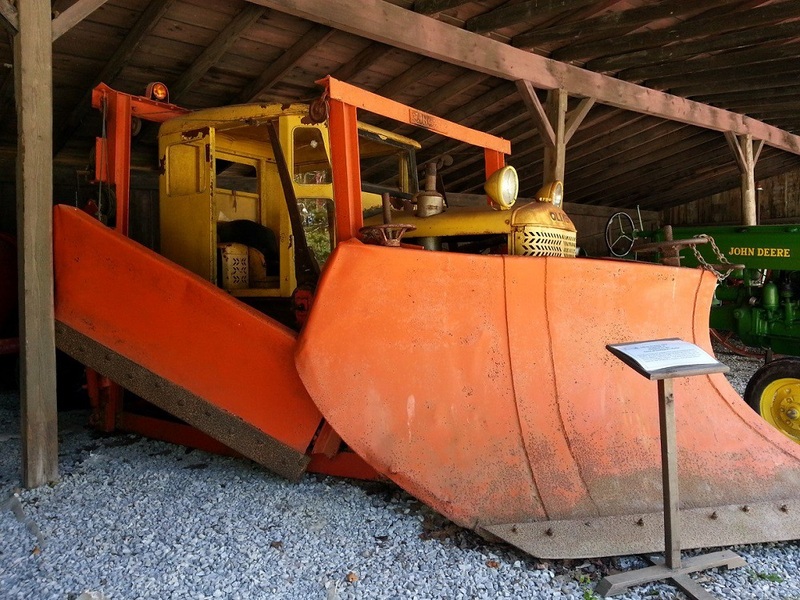 Farm Equipment Shed – Included in this exhibit are a 1930 Farmall F-12; 1927 Fordson tractor (powered by a Model-T type drive train); 1953 Oliver V-Plow tractor outfitted with a Sergeant V plow built in Portland, Maine (donated and once used by the Town of Southport), 1950 Huber road-grader (donated by Boothbay Harbor) and other equipment. Dingley’s Store – A typical turn of the century general store. On exhibit are a variety of dry goods and tin containers of tea, crackers, and other wares. A peanut roaster and a coffee grinder are also on display. So named for Bob Dingley who donated several artifacts and assisted in the founding of the Museum. 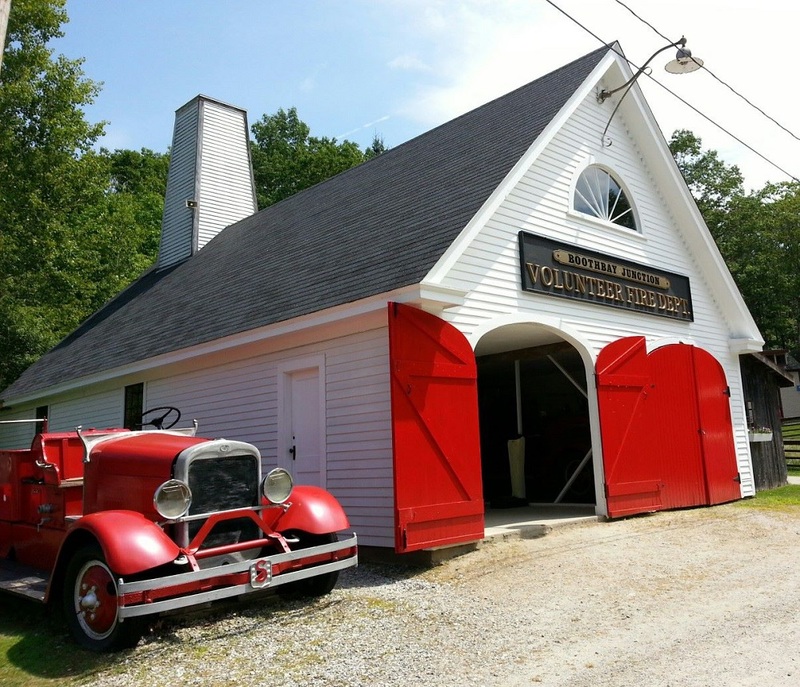 Boothbay Volunteer Fire Department – This building includes the Minnehaha #1, a hand tub pumper from 1850; the 1925 Cosmopolitan Fire Truck, Southport’s first motorized fire truck; and the 1929 McCann Portland built Hook & Ladder Truck from Boothbay Harbor. The tower incorporated in the structure is for hanging canvas fire hoses to dry. 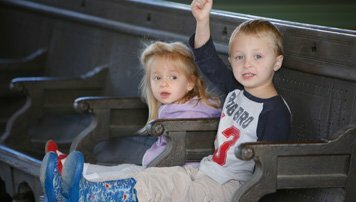 Carriage Display – This exhibit includes carriages from mid to late 1800’s such as a Portland cutter, a Victorian, and a Mail coach. 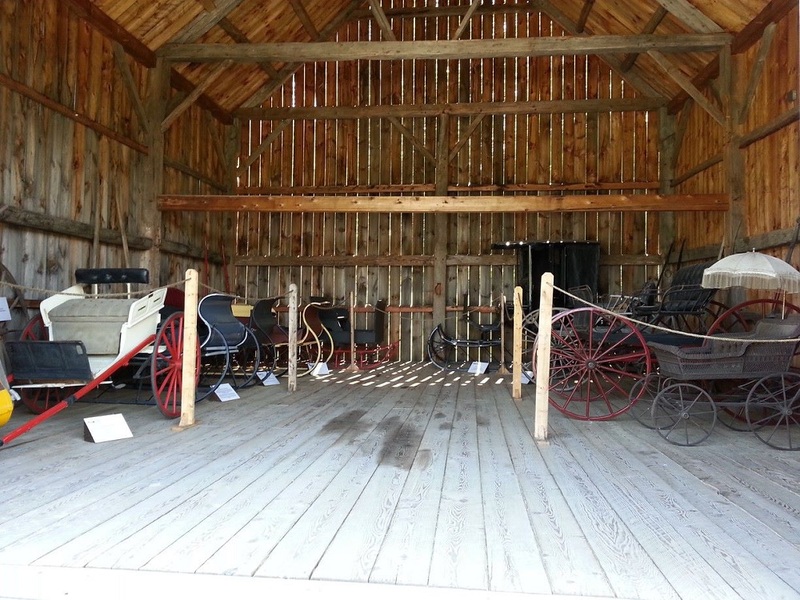 Also on display are various wagon accessories, horse treadmills to provide power on the farm and ice harvesting tools. Barrel House – A collection of necessary barrel making tools can be seen inside. Barrels were one of New England’s early exports. A versatile shipping and storage container created by soaking wood strips in water, drying them over a mold and pounding pre-molded metal rings down around the wood strips. 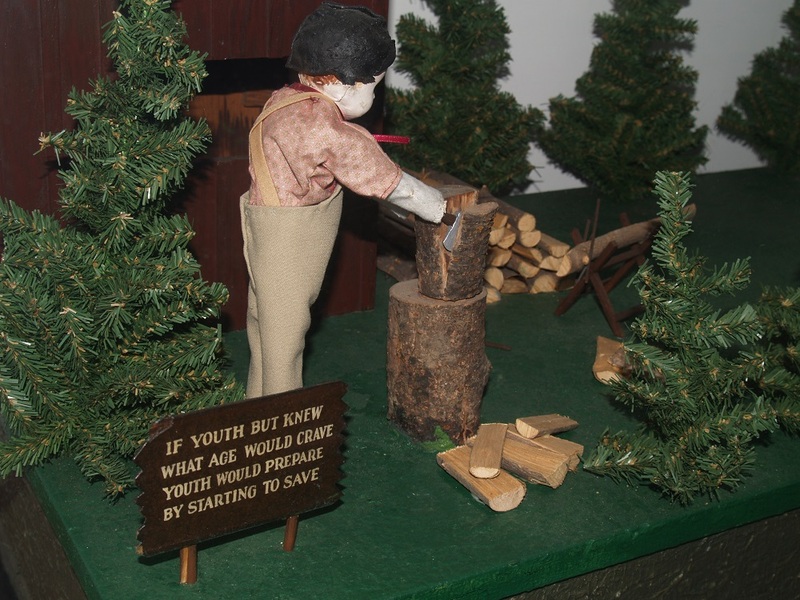 Blacksmith Shop – On view are a variety of tools and equipment used by blacksmiths. Blacksmiths were also very important to the railroad as they crafted parts essential to the train like the steam boiler and wheels. Summit Post Office – The Summit Post Office contains the mailboxes from what was once the working summer post office for Bayville, a small community located on the way to East Boothbay. Diorama Collection or Miniature Mechanical Parables – This collection is believed to have belonged to a traveling carnival in the 1920’s. While you visit be sure to push the buttons for action. These very rare and unique exhibits depict parables and fables from familiar stories. 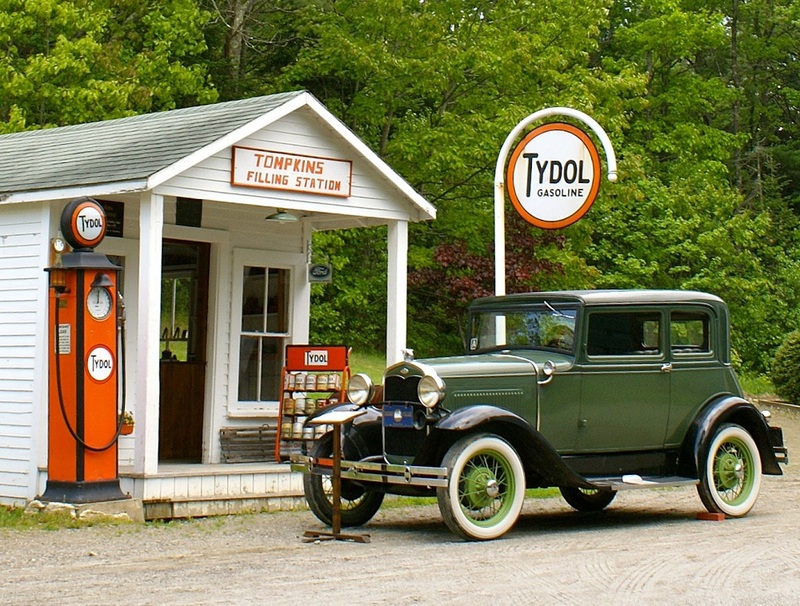 Thompkin’s Filling Station – This building was an actual service station once in use in East Boothbay, Maine. It contains vintage auto parts and parts catalogs. During this era service stations were for servicing cars and trucks and rarely sold food, snacks or coffee. 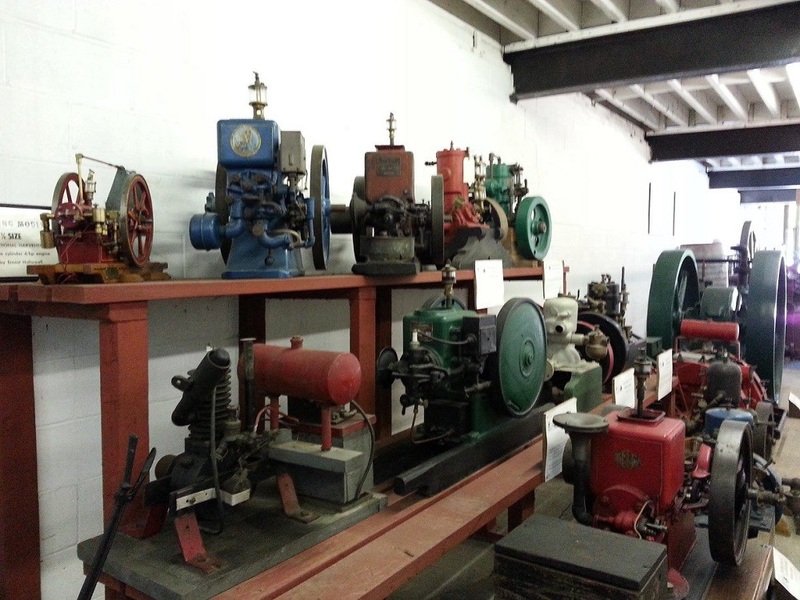 Antique Engine Display – Featuring the “Otto” and other early twentieth century internal and external combustion engines. The large 5 ton engine was developed in the late 1800’s. The museum occasionally operates this engine at special events. Other sources of mechanical power include stationary steam engines, a Sterling cycle hot air engine and a variety of single cylinder stationary and marine gasoline engines plus more than 200 early outboard motors. 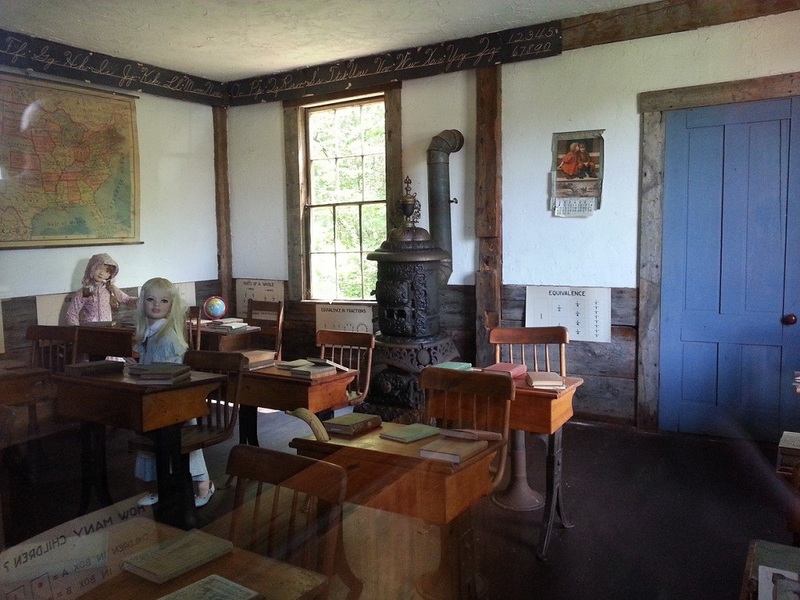 One Room Schoolhouse – This schoolhouse is a replica of the original, made famous by the children’s nursery rhyme “Mary Had a Little Lamb,” which is now on the grounds of the Wayside Inn in Sudbury, Massachusetts. The desks and school supplies are turn of the century. Desks were bolted to the floor and citizenship and conduct were emphasized. 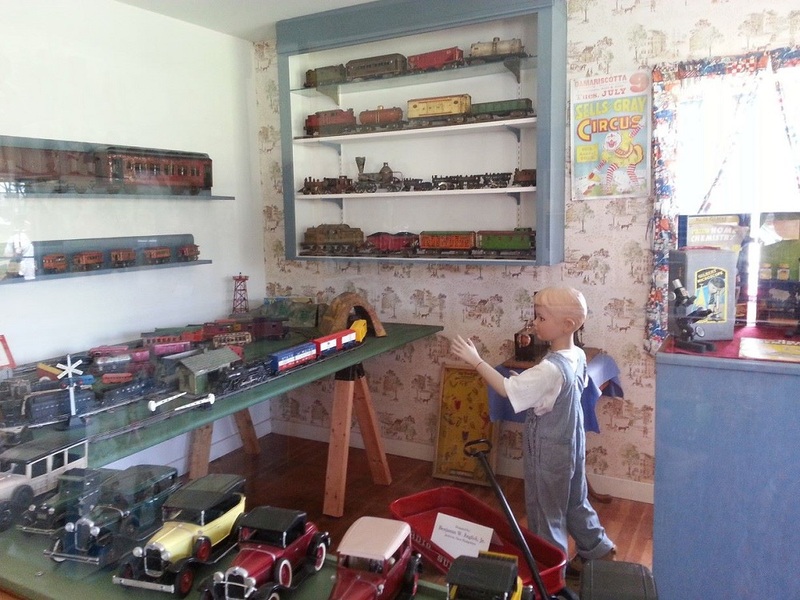 Village Toy Shop – This shop contains early toys from simple board games to dolls, to a variety of transportation related toys. Temporarily closed for repairs. 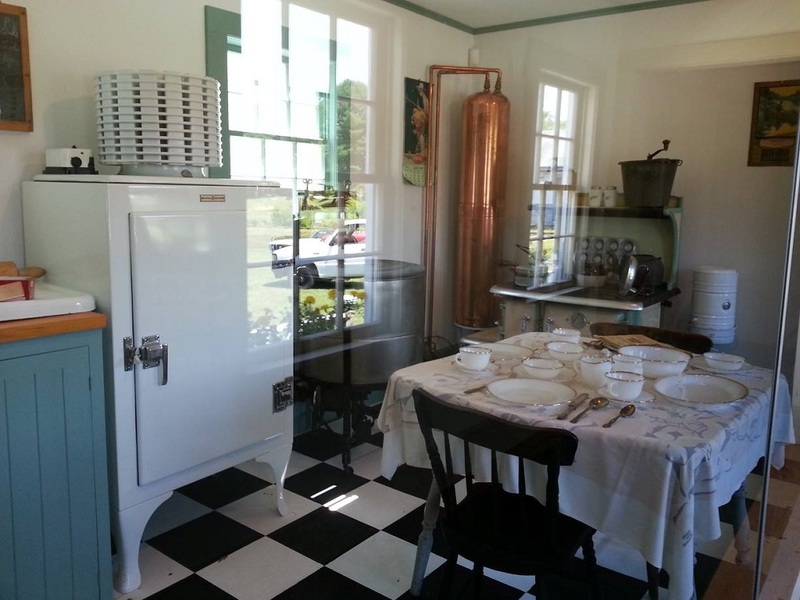 Harrington Homestead & Livery Stable – This important exhibit recreates the interior of an early 1900’s house, complete with kitchen appliances such as a monitor top 1927 refrigerator, a thermostatically controlled iron and a hot water storage tank. 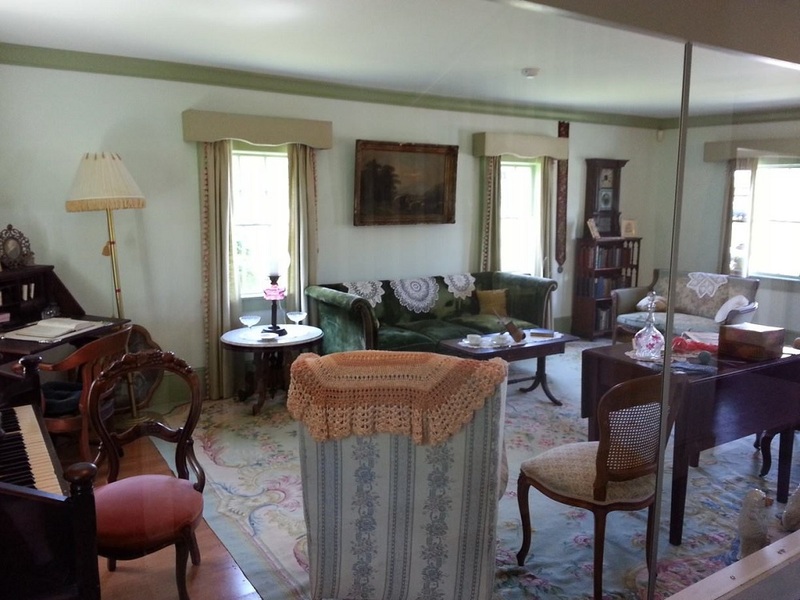 In addition, throughout the house are period pieces of furniture, fixtures and personal items to impart the nature of rural life in the 1900’s.